We were invited to catch the Paperboys at the Triple Door this Friday night. 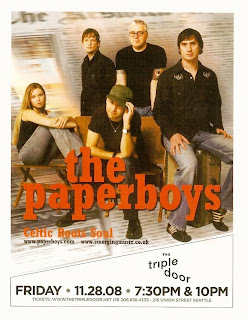 The Paperboys’ music is a mélange of Celtic, folk, bluegrass and pop. The show? We liked it. The band played a straight set of great music including songs off their latest album The Road to Ellenside like California. There were at least two covers (that we recognized) that were very good: Fragile (Sting) and All Along the Watchtower (Dylan) – listen to that fiddle! I swear I thought they covered Blame Sally’s La Llorona too, but can't be sure. The venue, the old Embassy Theatre, was great too. We never had been there before. We had a front row “booth” – yes there is dining – and ate some goodies off the Wild Ginger menu before the show started. Cracked coconut martini and ahi tuna bruschetta anyone? We went to the Seattle Art Museum to see the Hopper exhibit and afterwards wandered (by chance) to the Italian Room. We had been there in 2007 just after the museum opened in its new space but had not thought about it since. Suddenly, as we read the information sheet explaining the room, we went “a-ha”. During our sabbatical we spent the last 10 days in northeast Italy in the Alta Badia region. While there we were struck by both the exterior and interior architecture. One feature in particular that is interesting in the living rooms are the stoves that kept the house warm. These stoves, called stua in the local dialect, are large and you can sit and even sleep around (or on top) of them. We wrote a post describing them. There is a room in the Seattle Art Museum (SAM) featuring an installation by Enrico David, an Italian-born artist based in London. This installation runs from November 8, 2008 to March 15, 2009 and is called Bulbous Marauder. It is part of the SAM Next program that is designed to feature emerging artists from around the world. 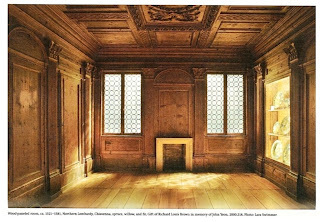 After the Edward Hopper exhibit, this room drew our attention immediately. 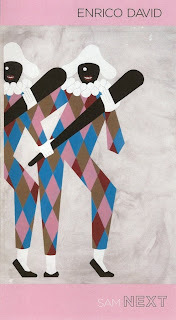 It was darkly lit with harlequin-patterned, paper lanterns emitting a beckoning glow. David provided all the works in the room. The theme? We don’t know for sure, but the flyer accompanying the installation probably best summarized it as “…somewhat like stepping down a back alley in Dickens-meets-Lewis Carroll London.” We saw strong elements of Italian design in David’s work. It reminded us of something that you might see at La Biennale and that made us sigh. The exhibit Edward Hopper’s Women is at the Seattle Art Museum (SAM) from November 13, 2008 – March 1, 2009. 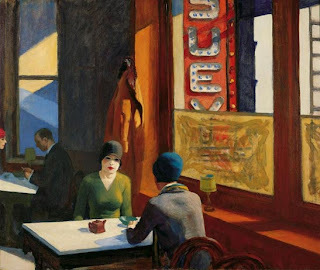 A small number of paintings are presented including the famous Chop Suey (1929) pictured above. Edward Hopper (1882 – 1967) was an American painter and printmaker whose work spans 60 years. The exhibit opens a new window on to the artist beyond the creator of “those” mid-century, nostalgic, film-noir-ish, iconographic views of diners. (Sorry, we can’t help but to mention OMD’s inspired Hopper cover for Crush.) Instead, Hopper’s work becomes more narrative as you learn about him as a person (introverted) and his relentless study of people, especially the modern American women in urban scenes. Part of the key to deciphering Hopper, is understanding his relationship with his wife Josephine. She was the model for most if not all of the women in the paintings, and more importantly, the psychology of their hinted-at cool relationship makes the paintings perhaps a bit more understandable. Aspects of their relationship seem to be played out in the paintings: cool and detached, figures, whether one or more, seem isolated and you the viewer feels voyeuristic. Through two world wars, the Great Depression, and various art trends not much changed in Hopper’s work. Was that because American life truly didn’t change or Hopper’s interest didn’t? 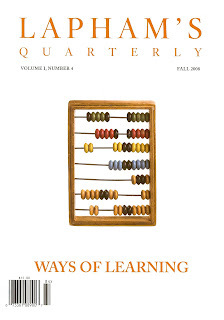 We were shopping the other day in our nearby grocery store and this magazine caught my eye: Lapham’s Quarterly: Ways of Learning. I bought it and am glad I did. The quarterly contains over 200 pieces (often excerpted from larger works) that focus on education and learning. The roster of contributors is varied and includes Plato, Thomas Jefferson, Helen Keller, Leonardo Da Vinci, Confucius and Salvador Dalí to name a few. I wasn't familiar with many of the contributors and that is half the fun: any one of the pieces is a jumping off point for further exploration. The quarterly is worth it, if not to get some exposure to different voices throughout history. The forward by editor Lewis Lapham lays out the theme of the issue: the state of education past and present as viewed by authors “whose writings have passed the test of time.” The lead off quote by Plutarch states succinctly one of the ways educations could and has gone wrong: “The mind is not a vessel to be filled but a fire to be kindled.” While some of the writing gives advice, most of the pieces are stories of individuals in, out, and around the educational system. You the reader are left to draw your own conclusions. One story in particular that demonstrates this is an excerpt by Helen Keller (1880 – 1968): The Story of My Life. In the excerpt Keller describes how her first teacher Anne Sullivan spelled words into her hand (fingerspelling) and the transformative effect that had on her – the naming of things and the fire that kindled in her to then know all the names of things. Keller became deaf, blind, and mute after contracting an illness as an infant. One theme that arises often in the quarterly is an idea raised in the 1905 essay The Ph.D. Octopus by William James (1842 – 1910): that our educational system often emphasizes the diploma as the best measure of future instructor’s capability, an idea in which James takes issue. In the essay (also included in the quarterly) James tells the story of a man who becomes a professor but didn’t have a Ph.D. and how that caused a bit of a scandal at the time. James advises that we must keep in check the hold of the Ph.D. Octopus upon American life. For a description of the quarterly in Lapham’s own words, there is an ABC (Australian Broadcast Corporation) interview that is informative. We spent an hour touring the Pioneer Museum of the Imperial Valley. What I learned: 1) The current incarnation of the Salton Sea was formed from a 1905 flood when the Colorado River broke a dike and flooded what was called the Salton Sink. 2) Barbara Worth was a character in the novel The Winning of Barbara Worth by Harold Bell Wright (1872 – 1944). Wright was a resident of the Imperial Valley and has a section in the museum dedicated to him. 3) A sand spike is a natural concretion that they still don’t know for sure how it is formed. (Wave action in Pleistocene sea is one possibility). The spikes seem to be only found in the Imperial Valley and, in particular, around Mt. Signal. 4) After water was first brought to what was called the Colorado Desert in 1901 and now is called the Imperial Valley, people of all nationalities came to the valley to farm. The museum in fact has a large section with small exhibits dedicated to nationalities like French, Japanese, Portuguese, Lebanese, East Indian, Greek, and of course Italian to name a few. Local families of each nationality donated items for the exhibits. We happened to go with a couple of long time residents of the area so it was interesting to watch their reactions to the museum pointing out so-and-so and getting the back-story . The Pioneer Museum is located near the Imperial Valley College at 373 East Aten Road on Highway 111 in Imperial, California. There is a small admission fee. Puerto Nuevo is a Sea Food and Mexican restaurant in Brawley California (1191 Main St.). On this particular night a very loud 4-piece band (Norteño is my best guess of the style) accompanied an interesting Mexican meal focused on fish. We had a tasty cold, mixed fish appetizer composed of different types of fresh fish mixed with cucumber and avocado. Each of our main plates looked good but I opted for the simple fish tacos which were good. Update 2011-05-31: This place is now closed and our Imperial Valley hosts say that a number of businesses have come and gone in this location. While driving around the Imperial Valley we went by a field where a crew was throwing what looked like sticks into furrows and covering them. We stopped and talked to some of the crew and found out that they were planting sugarcane (Saccharum) – a genus of tall perennial grasses from which sugar is produced. The crew gave us a sample (see photo) of the cane they were planting. Once buried the new sugarcane sprouts from the nodes of the old canes. New plants can grow up to 12 feet or more. Once they are mature they are harvested (leaving the roots and a few inches of stalk for re-growth – called ratoons) and then brought to the factory for processing. In the factory canes are crushed to extract the sweet juice that goes through further processing to make sugar. Sugarcane is the source of 70% of the world’s sugar supply. Other uses of sugarcane include ethanol production. This past weekend, I went out looking for some new music and discovered a couple of new (to me) artists: Jóhann Jóhannsson (Icelandic) and Max Richter (British, German-born). 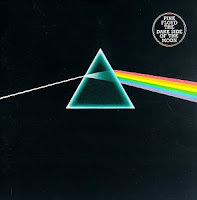 Often this music is described as post-X or experimental-X with X being a variety of genres. I’m not sure about music labels, but I will say that you will not find this music on the radio. 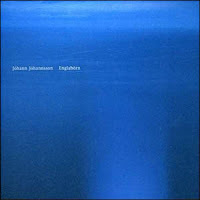 The first CD I’ll mention is Jóhannsson’s Englabörn (preview the tracks) – the name of an Icelandic play it was written for. The title means “angels”. The music features quartet, piano, glockenspiel, percussion, and organ. 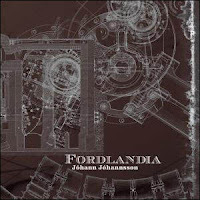 The second CD is Jóhannsson’s Fordlândia (preview the tracks) – inspired partly by the story of the rubber plantation, Fordlândia, that Henry Ford established in the Amazon jungle in the 1920s. The music on both CDs is part thoughtful, part wistful, part hypnotic. It’s spacious if that makes sense in terms of music. 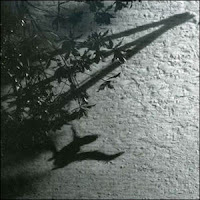 The third CD is Richter’s The Blue Notebooks (preview the tracks) – inspired by Kafka’s Blue Ocatvo Notebooks. Interspersed in music are short literary readings by Tilda Swinton. On Richter’s site, the music is described as “somewhere between a certain dream sense of wonder / awe and a heavy melancholia.” It’s interesting why The Blue Notebooks and Englabörn seem to be what I’m craving musically: a desire for wordless music that is slow-moving, and sad (though sadness is in the mind of the beholder I guess). On a side note, these two purchases also represent the first digital purchases I ever have made. I don’t like the fact that I don’t get any decent liner notes or album imagery (at least from Amazon where I purchased the music), but, getting the music quickly is nice and the fact that I only have to worry about digital storage and not physical storage of the CD is a bit of a relief. Second side note: Fordlandia can be purchased in the AAC (designed to be the successor to mp3) format at 192kbp at 4AD. We went to the Museum of Flight last weekend and had a good time. 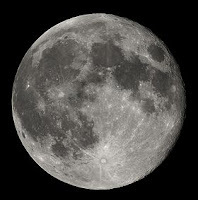 There’s a lot to see and even if you have just a passing interest in space and aviation there will be something to keep you interested. We spent two hours and really didn’t get past seeing the Airpark and the Great Gallery. The Airpark has aircraft that you can go into including a Concorde and a former Air Force One plane. The Concorde could fly between Paris and New York in ½ the time of a normal flight. In certain transatlantic flights leaving from Paris or Heathrow it would be possible to leave after sunset, catch up with the sun, land in daylight and experience sunset again! The Air Force One at the Airpark was in the presidential fleet from 1959 to 1996. After the Airpark visit we spent the rest of the time in the Great Gallery wandering around. We tried one of the two simulators (the easier one). One of the sexiest airplanes (did I just say that??) is the Blackbird – cruising at 85,000 feet and at speeds of more than Mach 3. It’s definitely worth a visit back to catch the rest of the exhibits. 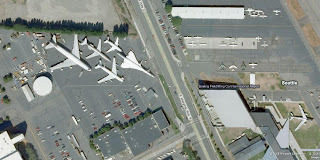 The Museum of Flight is located several miles south of downtown Seattle here. Guglielmo Olivotto’s (see previous posts 1 and 2) tombstone can be found in one corner of the Fort Lawton Cemetery (location). It’s sad that the tombstone is off by itself and is not integrated more harmoniously with the rest of the cemetery. Who knows if he is even buried there? The book Fort Lawton Riot, 1944 by Dominic W. Moreo is about the bloody riot on the night of August 14th, 1944. This book can be downloaded easily at many spots including Diesel eBooks. I downloaded it to get more of a feel for what happened that night when an Italian man, Guglielmo Olivotto, lost his life. Olivotto is pictured on the front cover of the book. 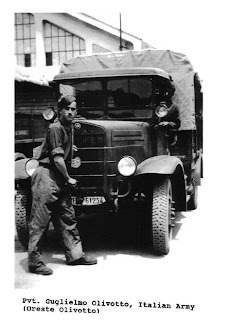 He was from the town of Nervesa della Battagli in the Veneto region of Italy. What happened the night of the riot? 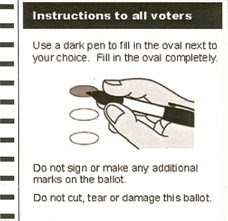 In short: booze, tension (from all sides, between whites and blacks, Americans and Italians), and inept leadership that at several points during the night could have limited the damage. It seems that the Army was very anxious to reach some kind of quick resolution and find culprits to appear to be complying with the Geneva Convention of 1929. However, in the rush, all sorts of evidence were destroyed. Olivotto was fearful of black soldiers because of the atrocities he had witnessed in POW holding camps in Tunisia. During the night of the riot Olivotto leapt out of his barrack's window right into the waiting hands of several angry, black soldiers who, it appears from the evidence, drug him to his death. He was discovered the morning after the riot strung up on a wire. His gravestone. Previous post: Italians in Discovery Park.